With the height adjustability feature you can choose the right look that suits your needs. 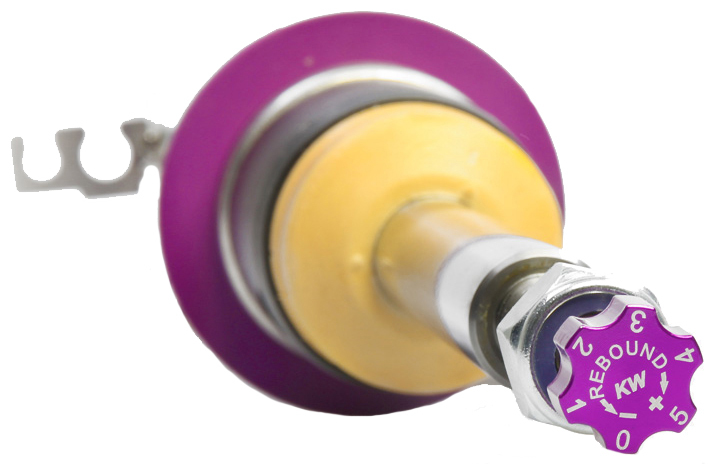 These coilovers will remove the hideous fender gap with the adjustable ride height settings. Whether you're driving to your local super market or going to the track, KW Suspension will exceed your expectations. 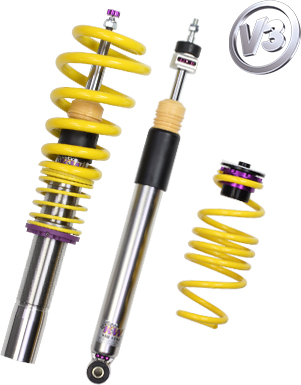 KW Coilover Kits will perfectly exceed your expectations for ride, handling, fitment, and quality. 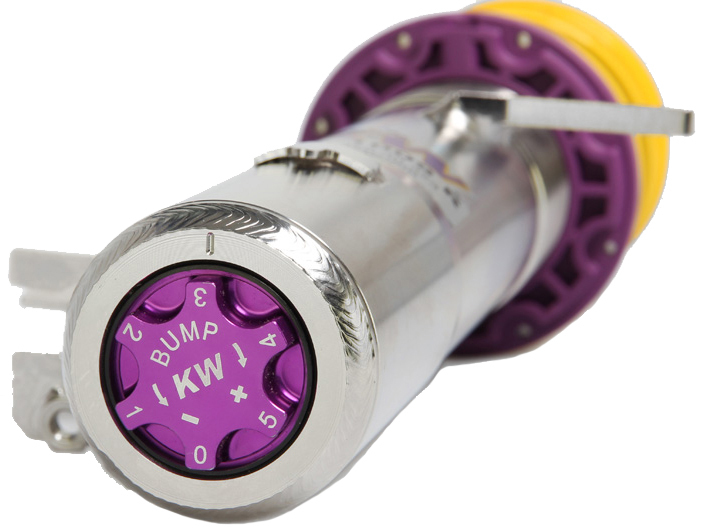 KW uses inox-stainless steel on nearly all their products to ensure the maximum level of corrosion resistance. 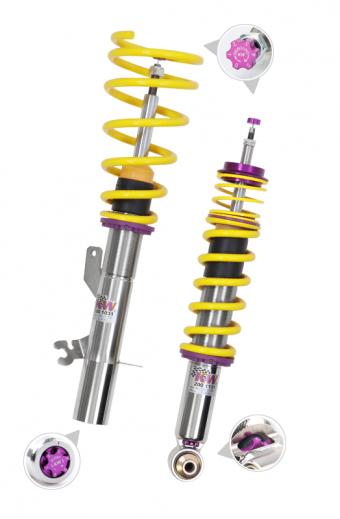 These KW Coilovers are made out of high quality stainless steel, guaranteed never to rust and perform over and over again in the harshest conditions. Replacing the suspension on your BMW F30/F32 with a set of KW Coilovers will give you total control of your handling, such as: ride height, rebound, and compression. Improve your handling and get rid of that hideous fender gap with a new set of KW Coilovers. Please Note: If your vehicle is equipped with EDC (Electronic Dampening Control) it has to be deactivated. Deactivation kit is included with EDC kit. The KW V3 Coilovers for the F30 3-Series and F32 4-Series feature all of the features of the V1 and V2 with the added benefit of adjustable compression rebound dampening for the experienced driver. KW V3 F30/F32 Coilovers are specifically designed the experienced driver.